Brett M. Elicker, MD is a Professor of Clinical Radiology and Chief of the Cardiac and Pulmonary Imaging Section at the University of California, San Francisco. As the Chair of the Postgraduate Education Committee in the Department of Radiology, he is committed to maintaining the high quality of UCSF's educational offerings to practicing radiologists. Dr. Elicker earned his medical degree in 2000 from New York Medical College, and completed a residency in Diagnostic Radiology at Yale New Haven Hospital, Connecticut in 2005, followed by a fellowship in Thoracic Imaging from UCSF in 2006. He came to UCSF in 2005 as a Clinical Fellow in Cardiac and Pulmonary Imaging and joined the faculty of Radiology and Biomedical Imaging in July 2006. 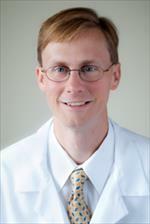 Dr. Elicker's research interests are thoracic CT and MRI. His research is primarily clinical which is a reflection of the strong clinical training during his radiology residency at Yale University and thoracic fellowship at UCSF. His research interests primarily involve three areas: high resolution CT (HRCT) in the evaluation of diffuse lung disease, imaging in patients with lung transplants, and thoracic vascular imaging. Dr. Elicker is an active member of the Society of Thoracic Radiology, the Society of Cardiovascular MRI, the American Roentgen Ray Society, and the Radiological Society of North America. He is a manuscript reviewer for the American Journal of Roentgenology, the Journal of Thoracic Imaging, and the Chest Journal. Dr. Elicker has published 30 articles, he has written 37 peer-reviewed articles, 2 book chapters, and he has 5 significant publications. Jhajj A, Gill HP, Hague CJ, Murphy D, Elicker B, Soon J, Sulaiman N, Castillo-Saldana D, Wilcox PG, Dunne J, Lee JS, Wolters PJ, Ley B, Jones KD, Morisset J, Ryerson CJ. Pulmonary physiology is poorly associated with radiological extent of disease in systemic sclerosis-associated interstitial lung disease. Eur Respir J. 2019 Mar 07. Tanizawa K, Ley B, Vittinghoff E, Elicker BM, Henry TS, Wolters PJ, Brownell R, Liu S, Collard HR, Jones KD. Significance of bronchiolocentric fibrosis in patients with histopathologic usual interstitial pneumonia. Histopathology. 2019 Feb 11. Kallianos KG, Elicker BM, Henry TS. Approach to the Patient With Connective Tissue Disease and Diffuse Lung Disease. Semin Roentgenol. 2019 Jan; 54(1):21-29. Elicker BM. How Should We Manage Nondiagnostic Lung Biopsies? Radiology. 2019 Mar; 290(3):824-825. Rotow JK, Woodard GA, Urisman A, McCoach CE, Bivona TG, Elicker BM, Jablons DM, Blakely CM. Pathologic Complete Response to Neoadjuvant Crizotinib in a Lung Adenocarcinoma Patient With a MET Exon 14 Skipping Mutation. Clin Lung Cancer. 2019 Mar; 20(2):e137-e141. Wong ML, Shi Y, Fung KZ, Ngo S, Elicker BM, Brown JK, Hiatt RA, Tang VL, Walter LC. Age, comorbidity, life expectancy, and pulmonary nodule follow-up in older veterans. PLoS One. 2018; 13(7):e0200496. Tsui JL, Estrada OA, Deng Z, Wang KM, Law CS, Elicker BM, Jones KD, Dell SD, Gudmundsson G, Hansdottir S, Helfgott SM, Volpi S, Gattorno M, Waterfield MR, Chan AY, Chung SA, Ley B, Shum AK. Analysis of pulmonary features and treatment approaches in the COPA syndrome. ERJ Open Res. 2018 Apr; 4(2). Merritt BA, Henry TS, Cha S, Ordovas KG, Kallianos KG, Elicker BM, Hope MD, Naeger DM. Tailoring Radiology Resident Education Using Aggregated Missed-Cases Data. J Am Coll Radiol. 2018 Jul; 15(7):1013-1015. Arjomandi M, Zeng S, Geerts J, Stiner RK, Bos B, van Koeverden I, Keene J, Elicker B, Blanc PD, Gold WM. Lung volumes identify an at-risk group in persons with prolonged secondhand tobacco smoke exposure but without overt airflow obstruction. BMJ Open Respir Res. 2018; 5(1):e000284. Dunican EM, Elicker BM, Gierada DS, Nagle SK, Schiebler ML, Newell JD, Raymond WW, Lachowicz-Scroggins ME, Di Maio S, Hoffman EA, Castro M, Fain SB, Jarjour NN, Israel E, Levy BD, Erzurum SC, Wenzel SE, Meyers DA, Bleecker ER, Phillips BR, Mauger DT, Gordon ED, Woodruff PG, Peters MC, Fahy JV. Mucus plugs in patients with asthma linked to eosinophilia and airflow obstruction. J Clin Invest. 2018 Mar 01; 128(3):997-1009. Ley B, Newton CA, Arnould I, Elicker BM, Henry TS, Vittinghoff E, Golden JA, Jones KD, Batra K, Torrealba J, Garcia CK, Wolters PJ. The MUC5B promoter polymorphism and telomere length in patients with chronic hypersensitivity pneumonitis: an observational cohort-control study. Lancet Respir Med. 2017 08; 5(8):639-647. Morisset J, Vittinghoff E, Elicker BM, Hu X, Le S, Ryu JH, Jones KD, Haemel A, Golden JA, Boin F, Ley B, Wolters PJ, King TE, Collard HR, Lee JS. Mortality Risk Prediction in Scleroderma-Related Interstitial Lung Disease: The SADL Model. Chest. 2017 11; 152(5):999-1007. Elicker BM, Kallianos KG, Henry TS. The role of high-resolution computed tomography in the follow-up of diffuse lung disease: Number 2 in the Series "Radiology" Edited by Nicola Sverzellati and Sujal Desai. Eur Respir Rev. 2017 Jun 30; 26(144). Morisset J, Vittinghoff E, Lee BY, Tonelli R, Hu X, Elicker BM, Ryu JH, Jones KD, Cerri S, Manfredi A, Sebastiani M, Gross AJ, Ley B, Wolters PJ, King TE, Kim DS, Collard HR, Lee JS. The performance of the GAP model in patients with rheumatoid arthritis associated interstitial lung disease. Respir Med. 2017 06; 127:51-56. Natalini JG, Swigris JJ, Morisset J, Elicker BM, Jones KD, Fischer A, Collard HR, Lee JS. Understanding the determinants of health-related quality of life in rheumatoid arthritis-associated interstitial lung disease. Respir Med. 2017 06; 127:1-6. Wang P, Jones KD, Urisman A, Elicker BM, Urbania T, Johannson KA, Assayag D, Lee J, Wolters PJ, Collard HR, Koth LL. Pathologic Findings and Prognosis in a Large Prospective Cohort of Chronic Hypersensitivity Pneumonitis. Chest. 2017 09; 152(3):502-509. Brownell R, Moua T, Henry TS, Elicker BM, White D, Vittinghoff E, Jones KD, Urisman A, Aravena C, Johannson KA, Golden JA, King TE, Wolters PJ, Collard HR, Ley B. The use of pretest probability increases the value of high-resolution CT in diagnosing usual interstitial pneumonia. Thorax. 2017 May; 72(5):424-429. Haas BM, Clayton JD, Elicker BM, Ordovas KG, Naeger DM. CT-Guided Percutaneous Lung Biopsies in Patients With Suspicion for Infection May Yield Clinically Useful Information. AJR Am J Roentgenol. 2017 Feb; 208(2):459-463. Morisset J, Johannson KA, Vittinghoff E, Aravena C, Elicker BM, Jones KD, Fell CD, Manganas H, Dubé BP, Wolters PJ, Collard HR, Ryerson CJ, Ley B. Use of Mycophenolate Mofetil or Azathioprine for the Management of Chronic Hypersensitivity Pneumonitis. Chest. 2017 03; 151(3):619-625. Henry TS, Naeger DM, Looney MR, Elicker BM. Dyspnea and Pulmonary Hypertension with Diffuse Centrilobular Nodules. Ann Am Thorac Soc. 2016 Oct; 13(10):1858-1860. Larsen BT, Smith ML, Elicker BM, Fernandez JM, de Morvil GAA, Pereira CAC, Leslie KO. Diagnostic Approach to Advanced Fibrotic Interstitial Lung Disease: Bringing Together Clinical, Radiologic, and Histologic Clues. Arch Pathol Lab Med. 2017 Jul; 141(7):901-915. Elicker BM, Jones KT, Naeger DM, Frank JA. Imaging of Acute Lung Injury. Radiol Clin North Am. 2016 Nov; 54(6):1119-1132. Clayton JD, Elicker BM, Ordovas KG, Kohi MP, Nguyen J, Naeger DM. Nonclotted Blood Patch Technique Reduces Pneumothorax and Chest Tube Placement Rates After Percutaneous Lung Biopsies. J Thorac Imaging. 2016 Jul; 31(4):243-6. Kallianos KG, Elicker BM, Henry TS, Ordovas KG, Nguyen J, Naeger DM. Instituting a Low-dose CT-guided Lung Biopsy Protocol. Acad Radiol. 2016 09; 23(9):1130-6. Johannson KA, Elicker BM, Vittinghoff E, Assayag D, de Boer K, Golden JA, Jones KD, King TE, Koth LL, Lee JS, Ley B, Wolters PJ, Collard HR. A diagnostic model for chronic hypersensitivity pneumonitis. Thorax. 2016 10; 71(10):951-4. Haas BM, Elicker BM, Nguyen J, Ordovas KG, Jones KD, Henry TS, Naeger DM. Nondiagnostic Computed Tomography-guided Percutaneous Lung Biopsies Are More Likely When Infection Is Suspected. J Thorac Imaging. 2016 May; 31(3):151-5. Elicker BM, Jones KD, Henry TS, Collard HR. Multidisciplinary Approach to Hypersensitivity Pneumonitis. J Thorac Imaging. 2016 Mar; 31(2):92-103. Henry TS, Little BP, Veeraraghavan S, Bhalla S, Elicker BM. The Spectrum of Interstitial Lung Disease in Connective Tissue Disease. J Thorac Imaging. 2016 Mar; 31(2):65-77. Assayag D, Kim EJ, Elicker BM, Jones KD, Golden JA, King TE, Koth LL, Shum AK, Wolters PJ, Collard HR, Lee JS. Survival in interstitial pneumonia with features of autoimmune disease: a comparison of proposed criteria. Respir Med. 2015 Oct; 109(10):1326-31. Curl PK, Kahn JG, Ordovas KG, Elicker BM, Naeger DM. Understanding Cost-Effectiveness Analyses: An Explanation Using Three Different Analyses of Lung Cancer Screening. AJR Am J Roentgenol. 2015 Aug; 205(2):344-7. Leach JR, Elicker B, Yee J, Puppula S, Wisneski JA, Yeh BM. Clot Through the Heart: Paradoxical Embolism With Thrombus-in-Transit at Multidetector Computed Tomography. J Comput Assist Tomogr. 2015 Jul-Aug; 39(4):598-600. Assayag D, Vittinghoff E, Ryerson CJ, Cocconcelli E, Tonelli R, Hu X, Elicker BM, Golden JA, Jones KD, King TE, Koth LL, Lee JS, Ley B, Shum AK, Wolters PJ, Ryu JH, Collard HR. The effect of bronchodilators on forced vital capacity measurement in patients with idiopathic pulmonary fibrosis. Respir Med. 2015 Aug; 109(8):1058-62. Wolters PJ, Elicker BM. Subacute onset of pulmonary langerhans cell histiocytosis with resolution after smoking cessation. Am J Respir Crit Care Med. 2014 Dec 01; 190(11):e64. Stuart BD, Lee JS, Kozlitina J, Noth I, Devine MS, Glazer CS, Torres F, Kaza V, Girod CE, Jones KD, Elicker BM, Ma SF, Vij R, Collard HR, Wolters PJ, Garcia CK. Effect of telomere length on survival in patients with idiopathic pulmonary fibrosis: an observational cohort study with independent validation. Lancet Respir Med. 2014 Jul; 2(7):557-65. Ley B, Elicker BM, Hartman TE, Ryerson CJ, Vittinghoff E, Ryu JH, Lee JS, Jones KD, Richeldi L, King TE, Collard HR. Idiopathic pulmonary fibrosis: CT and risk of death. Radiology. 2014 Nov; 273(2):570-9. Lubin M, Chen H, Elicker B, Jones KD, Collard HR, Lee JS. A comparison of health-related quality of life in idiopathic pulmonary fibrosis and chronic hypersensitivity pneumonitis. Chest. 2014 Jun; 145(6):1333-1338. Ryerson CJ, Vittinghoff E, Ley B, Lee JS, Mooney JJ, Jones KD, Elicker BM, Wolters PJ, Koth LL, King TE, Collard HR. Predicting survival across chronic interstitial lung disease: the ILD-GAP model. Chest. 2014 Apr; 145(4):723-728. Assayag D, Elicker BM, Urbania TH, Colby TV, Kang BH, Ryu JH, King TE, Collard HR, Kim DS, Lee JS. Rheumatoid arthritis-associated interstitial lung disease: radiologic identification of usual interstitial pneumonia pattern. Radiology. 2014 Feb; 270(2):583-8. Naeger DM, Webb EM, Zimmerman L, Elicker BM. Strategies for incorporating radiology into early medical school curricula. J Am Coll Radiol. 2014 Jan; 11(1):74-9. Mooney JJ, Elicker BM, Urbania TH, Agarwal MR, Ryerson CJ, Nguyen MLT, Woodruff PG, Jones KD, Collard HR, King TE, Koth LL. Radiographic fibrosis score predicts survival in hypersensitivity pneumonitis. Chest. 2013 Aug; 144(2):586-592. Ryerson CJ, Hartman T, Elicker BM, Ley B, Lee JS, Abbritti M, Jones KD, King TE, Ryu J, Collard HR. Clinical features and outcomes in combined pulmonary fibrosis and emphysema in idiopathic pulmonary fibrosis. Chest. 2013 Jul; 144(1):234-240. Naeger DM, Phelps A, Kohi M, Elicker B, Ordovas K, Webb EM. Reading room electives: say goodbye to the "radi-holiday". J Am Coll Radiol. 2013 Jun; 10(6):442-8. Ryerson CJ, Urbania TH, Richeldi L, Mooney JJ, Lee JS, Jones KD, Elicker BM, Koth LL, King TE, Wolters PJ, Collard HR. Prevalence and prognosis of unclassifiable interstitial lung disease. Eur Respir J. 2013 Sep; 42(3):750-7. Lee JS, Kim EJ, Lynch KL, Elicker B, Ryerson CJ, Katsumoto TR, Shum AK, Wolters PJ, Cerri S, Richeldi L, Jones KD, King TE, Collard HR. Prevalence and clinical significance of circulating autoantibodies in idiopathic pulmonary fibrosis. Respir Med. 2013 Feb; 107(2):249-55. Cha SI, Ryerson CJ, Lee JS, Kukreja J, Barry SS, Jones KD, Elicker BM, Kim DS, Papa FR, Collard HR, Wolters PJ. Cleaved cytokeratin-18 is a mechanistically informative biomarker in idiopathic pulmonary fibrosis. Respir Res. 2012 Nov 20; 13:105. Urisman A, Leard LE, Nathan M, Elicker BM, Hoopes C, Kukreja J, Jones KD. Rapidly progressive pulmonary venoocclusive disease in young women taking oral contraceptives. J Heart Lung Transplant. 2012 Sep; 31(9):1031-6. Ley B, Ryerson CJ, Vittinghoff E, Ryu JH, Tomassetti S, Lee JS, Poletti V, Buccioli M, Elicker BM, Jones KD, King TE, Collard HR. A multidimensional index and staging system for idiopathic pulmonary fibrosis. Ann Intern Med. 2012 May 15; 156(10):684-91. Naeger DM, Phelps A, Kohi M, Patel A, Elicker B, Ordovas K, Urbania T, Avrin D, Qayyum A. Cross-specialty integrated resident conferences: an educational approach to bridging the gap. Acad Radiol. 2012 Aug; 19(8):1029-34. Cannavale G, Hope MD, Crook SE, Elicker BM. Dynamic evaluation of a quadricuspid aortic valve with coronary computed tomography angiography. J Thorac Imaging. 2012 May; 27(3):W46-7. Chung JH, Mitsumori LM, Ordovas KG, Elicker BM, Higgins CB, Reddy GP. Heart as a source of stroke: imaging evaluation with computed tomography. J Thorac Imaging. 2012 May; 27(3):W52-60. Richeldi L, Ryerson CJ, Lee JS, Wolters PJ, Koth LL, Ley B, Elicker BM, Jones KD, King TE, Ryu JH, Collard HR. Relative versus absolute change in forced vital capacity in idiopathic pulmonary fibrosis. Thorax. 2012 May; 67(5):407-11. Cha SI, Chang CS, Kim EK, Lee JW, Matthay MA, Golden JA, Elicker BM, Jones K, Collard HR, Wolters PJ. Lung mast cell density defines a subpopulation of patients with idiopathic pulmonary fibrosis. Histopathology. 2012 Jul; 61(1):98-106. Ryerson CJ, Abbritti M, Ley B, Elicker BM, Jones KD, Collard HR. Cough predicts prognosis in idiopathic pulmonary fibrosis. Respirology. 2011 Aug; 16(6):969-75. Lee JS, Ryu JH, Elicker BM, Lydell CP, Jones KD, Wolters PJ, King TE, Collard HR. Gastroesophageal reflux therapy is associated with longer survival in patients with idiopathic pulmonary fibrosis. Am J Respir Crit Care Med. 2011 Dec 15; 184(12):1390-4. Chou SH, Wang ZJ, Kuo J, Cabarrus M, Fu Y, Aslam R, Yee J, Zimmet JM, Shunk K, Elicker B, Yeh BM. Persistent renal enhancement after intra-arterial versus intravenous iodixanol administration. Eur J Radiol. 2011 Nov; 80(2):378-86. Elicker BM, Schwartz BS, Liu C, Chen EC, Miller SA, Chiu CY, Webb WR. Thoracic CT findings of novel influenza A (H1N1) infection in immunocompromised patients. Emerg Radiol. 2010 Jul; 17(4):299-307. Elicker BM, Golden JA, Ordovas KG, Leard L, Golden TR, Hays SR. Progression of native lung fibrosis in lung transplant recipients with idiopathic pulmonary fibrosis. Respir Med. 2010 Mar; 104(3):426-33. Elicker B, Pereira CA, Webb R, Leslie KO. High-resolution computed tomography patterns of diffuse interstitial lung disease with clinical and pathological correlation. J Bras Pneumol. 2008 Sep; 34(9):715-44. Zhuo H, Yang K, Lynch SV, Dotson RH, Glidden DV, Singh G, Webb WR, Elicker BM, Garcia O, Brown R, Sawa Y, Misset B, Wiener-Kronish JP. Increased mortality of ventilated patients with endotracheal Pseudomonas aeruginosa without clinical signs of infection. Crit Care Med. 2008 Sep; 36(9):2495-503. Boussel L, Ribagnac M, Bonnefoy E, Staat P, Elicker BM, Revel D, Douek P. Assessment of acute myocardial infarction using MDCT after percutaneous coronary intervention: comparison with MRI. AJR Am J Roentgenol. 2008 Aug; 191(2):441-7. Boussel L, Gamondes D, Staat P, Elicker BM, Revel D, Douek P. Acute chest pain with normal coronary angiogram: role of contrast-enhanced multidetector computed tomography in the differential diagnosis between myocarditis and myocardial infarction. J Comput Assist Tomogr. 2008 Mar-Apr; 32(2):228-32. Zamora AC, Wolters PJ, Collard HR, Connolly MK, Elicker BM, Webb WR, King TE, Golden JA. Use of mycophenolate mofetil to treat scleroderma-associated interstitial lung disease. Respir Med. 2008 Jan; 102(1):150-5. Kinder BW, Collard HR, Koth L, Daikh DI, Wolters PJ, Elicker B, Jones KD, King TE. Idiopathic nonspecific interstitial pneumonia: lung manifestation of undifferentiated connective tissue disease? Am J Respir Crit Care Med. 2007 Oct 01; 176(7):691-7. Elicker BM, Cypel YS, Weinreb JC. IV contrast administration for CT: a survey of practices for the screening and prevention of contrast nephropathy. AJR Am J Roentgenol. 2006 Jun; 186(6):1651-8. Hoxworth JM, Hanks DK, Araoz PA, Elicker BM, Reddy GP, Webb WR, Leung JW, Gotway MB. Lymphoepithelioma-like carcinoma of the lung: radiologic features of an uncommon primary pulmonary neoplasm. AJR Am J Roentgenol. 2006 May; 186(5):1294-9. Ludeman N, Elicker BM, Reddy GP, Webb WR, Leung JW, Gotway MB. Atypical rounded atelectasis: diagnosis and management based on results of F-18 FDG positron emission tomography. Clin Nucl Med. 2005 Nov; 30(11):734-5. Gotway MB, Reddy GP, Webb WR, Elicker BM, Leung JW. High-resolution CT of the lung: patterns of disease and differential diagnoses. Radiol Clin North Am. 2005 May; 43(3):513-42, viii. When is a coronary CTA appropriate? How well do CT scanners see into the heart? Is there a good vs. bad type of lung cancer? What do studies tell us about screening vs. non-screening? What does staging tell us? Is screening for lung cancer valuable? Lung Cancer Screening Saves Lives; Why Are More Patients Not Screened?